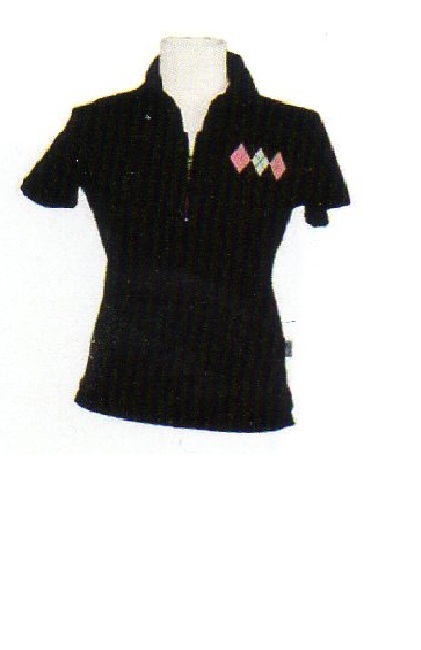 Description: This is a fashionable screen print argyle short sleeve polo with a zip up lapel. Its feminine cut and great stretch looks great on everyone. This fits snug so you might want to order the next size up. 94%cotton and 4% spandex.